Sarah SJÖSTRÖM a dominé le tournoi Coupe du monde (premier de la saison) de Moscou, ces 2 et 3 août. Sarah Sjostrom is on-fire and simply shows no signs of stopping. 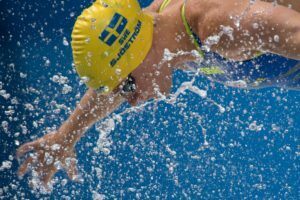 Just one stop into the 2017 World Cup series, Sweden’s Sarah Sjostrom has already earned $25,500 based on three wins and two world records. 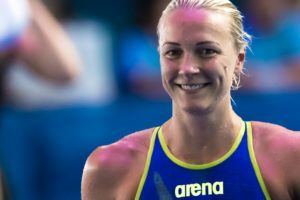 Two world records have Sarah Sjostrom leading the women’s points, while Chad le Clos, Cameron van der Burgh and Kirill Prigoda are tied for the men’s lead one meet into the 9-meet circuit. 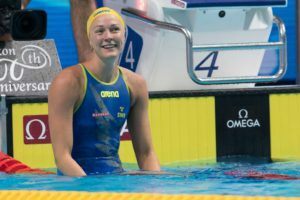 On the heels of firing off yet another world record yesterday in Moscow with her 50m freestyle time of 23.10 (short course), Swedish speedster Sarah Sjostrom crushed a mark of 50.77 to take down the SCM 100 freestyle on day 2 of the FINA World Cup. 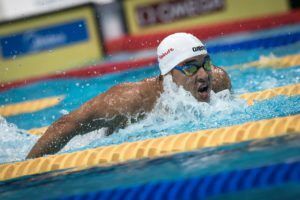 Cranking out splits of 24.51/26.26, Sjostrom’s mark of 50.77 surpassed the previous record of 50.91 set by Cate Campbell of Australia back in 2016. 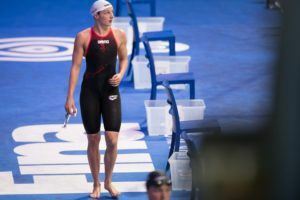 Ironically, it was also Campbell’s 100 LCM freestyle world record Sjostrom replaced in Budapest at the World Championships last week, in addition to the LCM 50 freestyle she notched there. Campbell was also in tonight’s race in Moscow, but settled for bronze in 51.59 behind Dutch swimmer Ranomi Kromowidjojo who touched in 51.14 for silver. 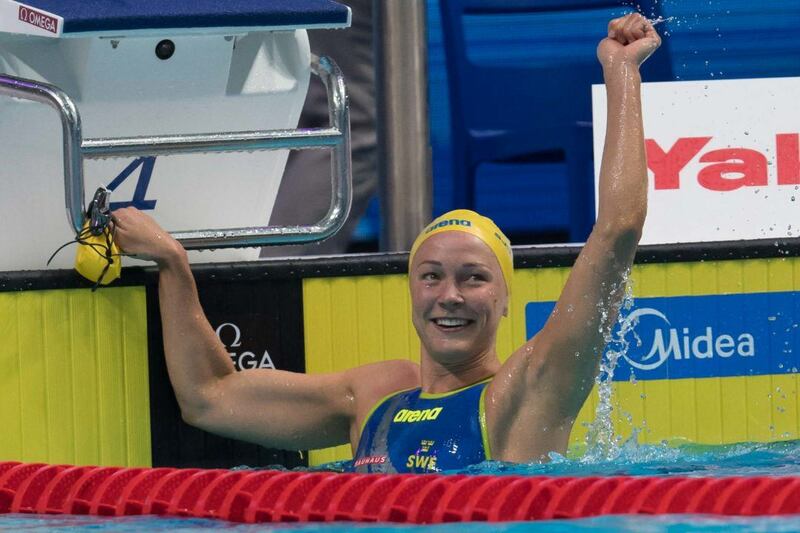 All told, Sjostrom now holds an incredible 8 world records across both short course and long course formats, further cementing the Swedish 23-year-old star as one of the greatest female sprinters of all-time. And the 100 fly is still to come tonight in Moscow ?